Nintendo surprised us all with a special announcement for Sonic Lost World -- the Wii U edition of the game will be getting two new Nintendo-centric DLC stages. While the pricing model hasn't been revealed on the second add-on (which is strongly hinted as a Zelda stage), the first pack, the Yoshi's Island Zone, is completely free. To access the DLC, all you need to do is download it, and it'll pop up in the first world right on the map. 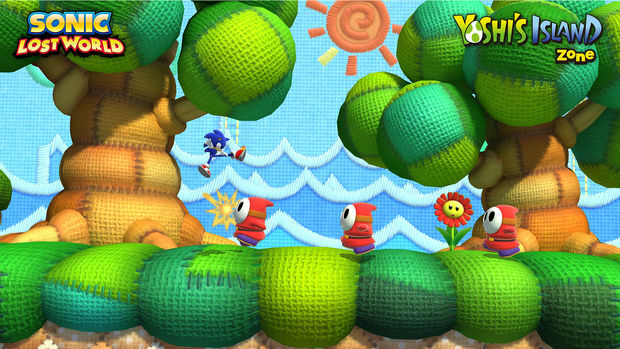 I have to say, Sonic Team really went all out on Yoshi's Island Zone, despite the fact that it's one brief stage. The entire level takes place on a 2D plane, and honors the Yoshi series in a huge way. The music needs a special mention as it's fantastically scored with direct tracks from Yoshi's Island -- even topping it all off with that classic end of the level tune. Rings are now coins, and the entire zone is basically a mix of the classic Green Hill Zone and a typical Yoshi's Island [or Story] game. 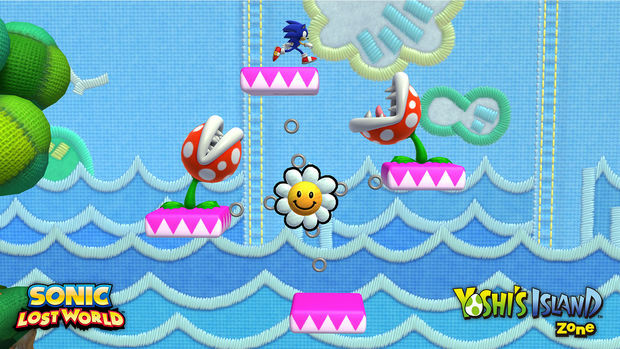 There's even five flower collectibles to locate throughout the stage, and a rotating roulette-style goal ring. The zone also has pipes, bonus areas, and a few puzzles to solve as you go for all the flowers. It's little touches like these that help Yoshi's Island Zone stand out compared to the rest of the game. The zone itself is pretty easy and straightforward, but it's fun, nonetheless. Platforming is a relatively simple affair even in 2D, as Sonic has his bounce move and a double-jump in tow, so you shouldn't have much trouble getting around. The only enemies are Piranha Plants and Shy Guys, which don't really give you too much trouble outside of a few clever plant placements. You can also think of this entire DLC as a bonus stage, as hitting every egg block and collecting every Yoshi egg (without getting hit) will result in a hatch-party at the end of a stage, granting you a massive amount of lives (30+ if you have all the eggs). Here's the bad news: once you clear the stage, it'll disappear until you score 100,000 points in intervals, at which point it'll return. This is a really stupid mechanic that just prevents you from replaying a fun level, and it's unfortunate that such a limitation exists. On the flipside you can restart the game, beat the first stage, and just play Yoshi's Island Zone over and over, but since there's only one save file you will erase your progress. 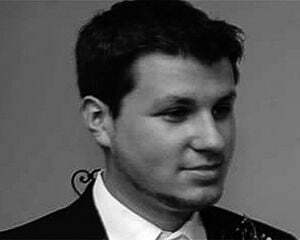 Awful. That one issue aside, Yoshi's Island Zone is a fantastic bit of DLC that cleverly honors an under-appreciated franchise. It helps that it's free, and easy to (initially) access as well. I can only hope that the next follow-up add-on will be just as whimsical.